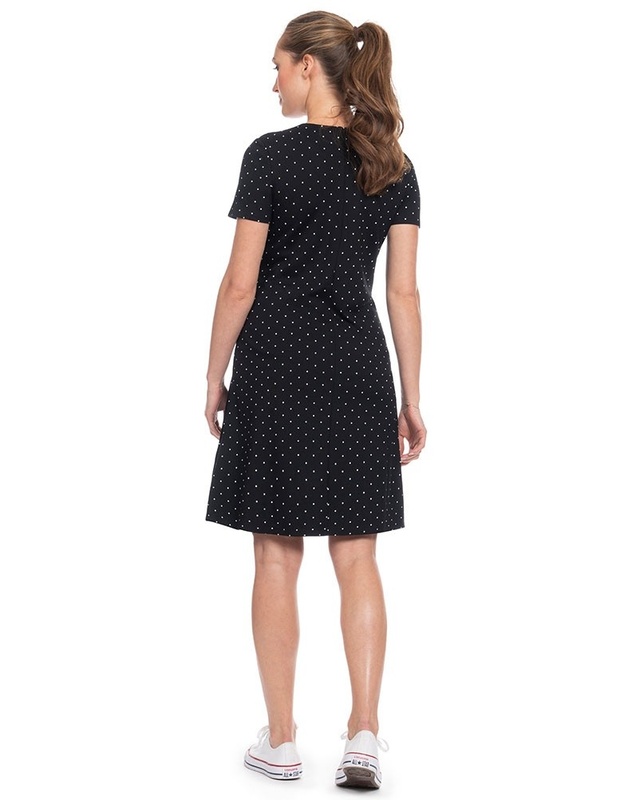 Made in premium stretch jersey, the style offers a flattering A-line silhouette & a flexible fit through every stage. 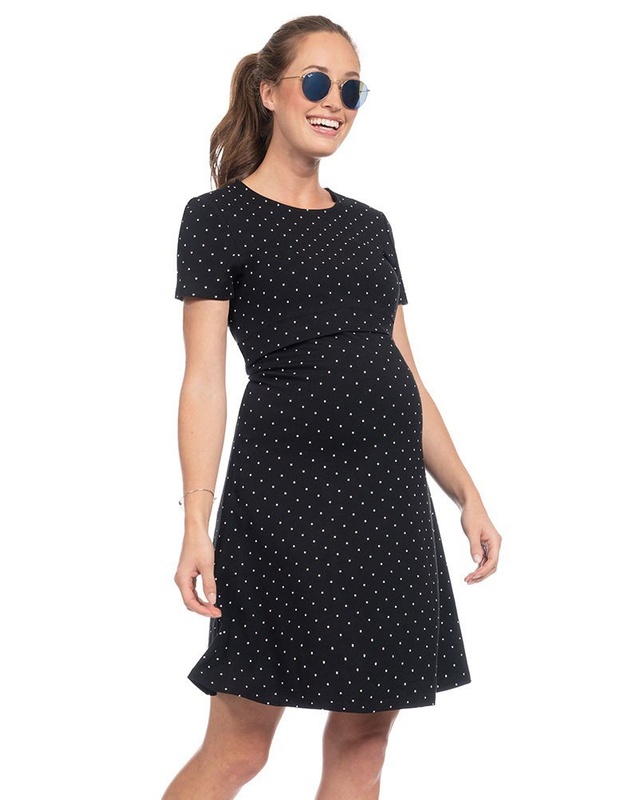 After baby is born, simple lift up nursing access at the front transitions the style for your nursing clothes collection. 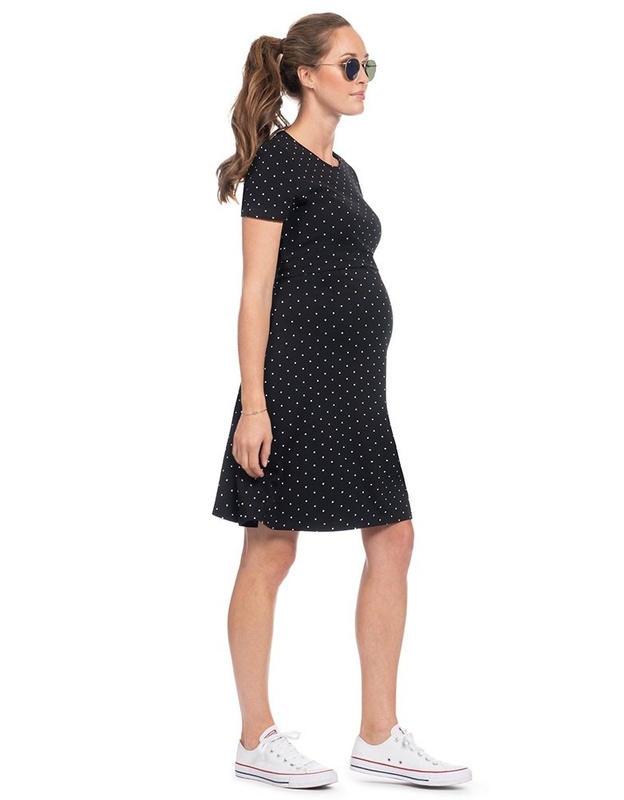 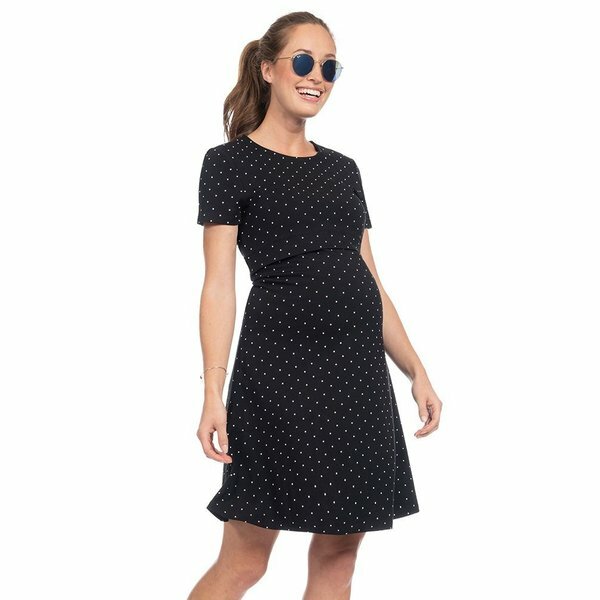 Smart for the office & comfy enough for everyday wear, this little black polka dot maternity dress is a real must-have.